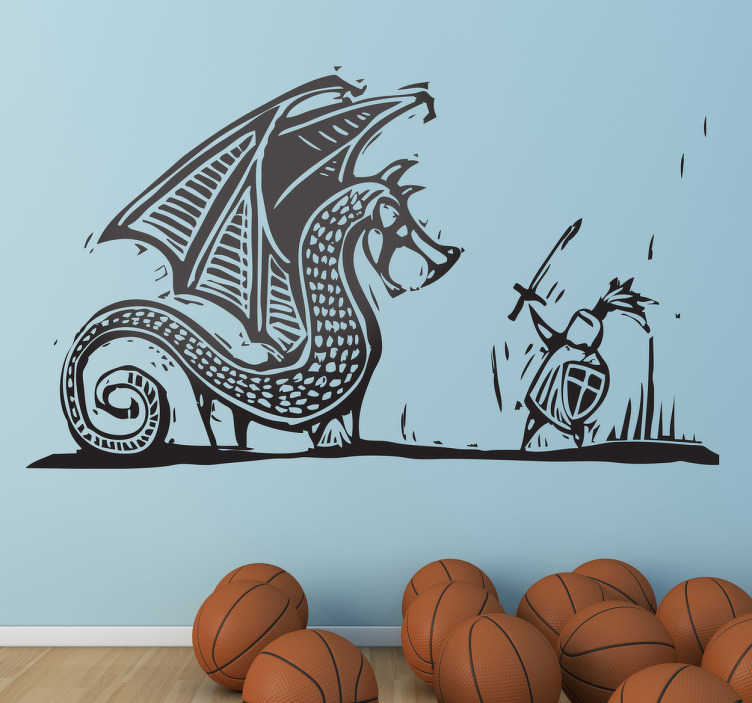 Christian Wall Stickers - Illustration of the battle between Saint George and the dragon. The dragon wall sticker comes in various sizes and 50 colours. Made from high quality vinyl. anti bubble vinyl. Bring the legendary battle of St George and the dragon to any wall you want. Easy to apply and easy to remove leaving no residue. Suitable for decorating walls, windows, vehicles, appliances, devices and more.